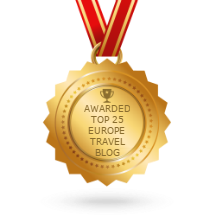 Celebrating everything from music to murals, Europe is a cultural juggernaut. This summer, the continent casts a wide net of far-flung festivities: three-day food fairs, artistic spectacles and age-old jamborees make up the lively events calendar. Spanning from Ireland to Italy, these sunshine festivals will make your next trip unforgettable. What’s on? Fireworks, and lots of them. 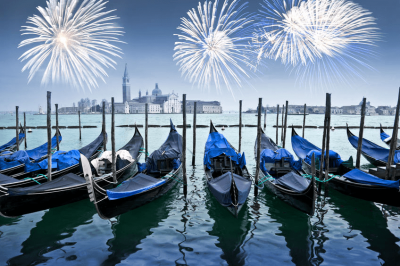 The ancient celebration of Festa del Redentore harks back to 1576: it’s deeply meaningful since it symbolises the momentous end of the terrible plague. 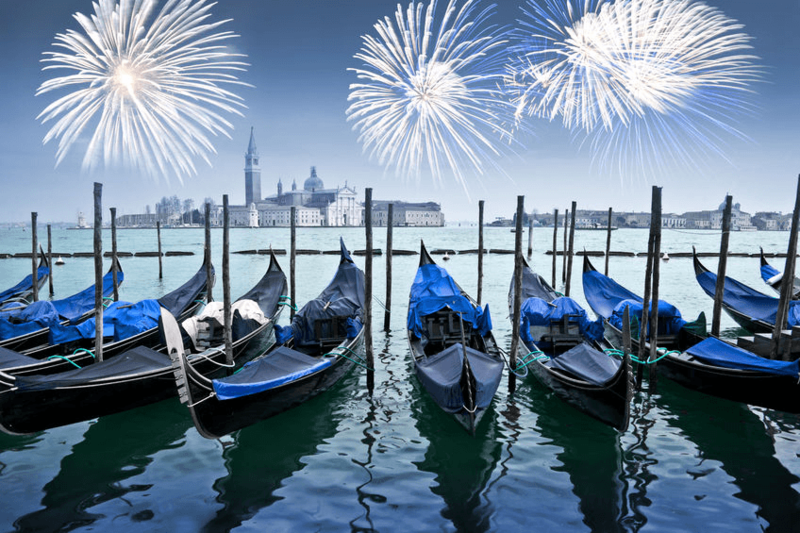 Every year promises pure magic – drenching the city’s domes, spires and bell towers in light, with a kaleidoscope of fireworks above the wondrous setting of St. Mark’s Basin. Boat regattas, food stalls, rides, music and 400 years of history and folklore await. 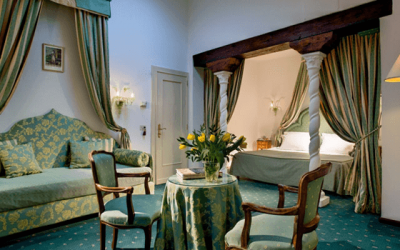 Where to stay: Don your gondola and glide on to Hotel Giorgione, just 10 minutes from St. Mark’s Square. 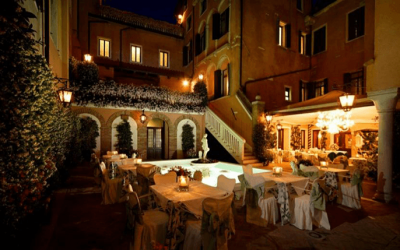 The 18th-century hotel is Venice in a nutshell: float back in time as you swoon over its luxe Venetian decor, antique furniture and heaven-sent croissants. What’s on? Galway International Arts Festival (GIAF) has been putting Galway on the map for 40 years now, with an explosive jamboree of music, theatre, comedy, literature and a plethora of art forms. Acts range from Irish folk to gospel, rock and even techno, with something for every musical taste. It’s ‘First Thought’ event is a powerhouse of creative ideas, bringing together innovative thinkers for provoking discussions. 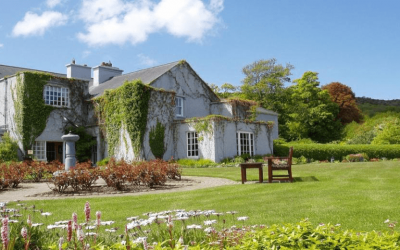 Where to stay: Check into Gregans Castle Hotel for some delectable downtime, just over an hour’s drive from GIAF. Dating back to 1750, the magical Gregans is said to have influenced writer J.R.R. Tolkien. 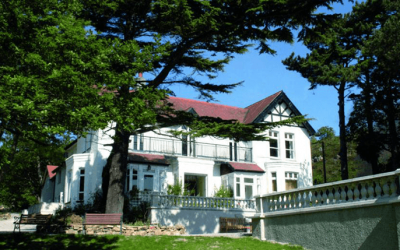 Meet the charming Irish owners, try the locally sourced food, sink into luxe four-poster beds and gaze out over sweeping Galway views – you’ll soon see why The Lord of the Rings author fell in love with it. What’s on? This Welsh music bonanza is set to leave jazz lovers giddy for a third year running, with headliners including saxophone-champ Nigel Hitchcock and fiery rhythm-makers Alan Barnes and Bruce Adams quintet. This year’s lineup also puts some charismatic female jazz musicians to the fore: there’s Danish vocalist Sara Oschlag, American saxophonist Allison Neale and 30s-style singer Zoe Francis, who perfected her craft in New York. 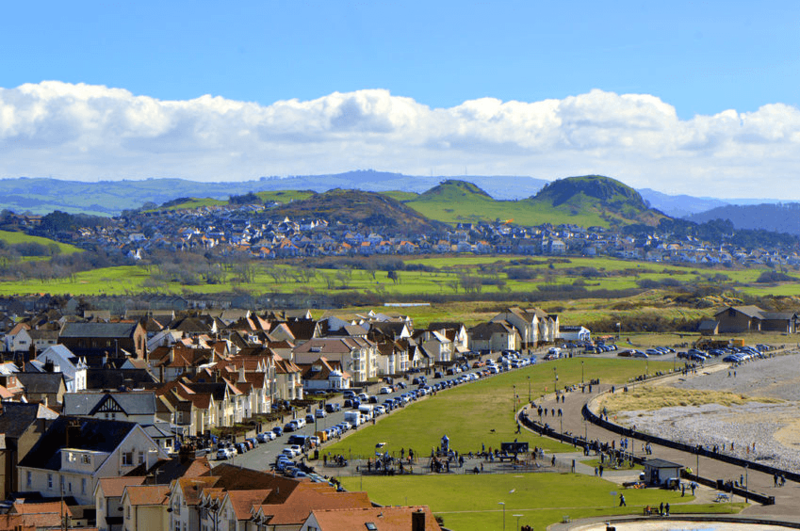 In Bodafon Farm Park, nestled in the old Victorian holiday town of Llandudno, the atmospheric setting is reason alone to get your jazz-rags on. Where to stay: If you’re not a happy camper, ditch the pitch and take the 15-minute drive (or taxi, if you’re suitably swaying from bourbon-fuelled jazz) to Sychnant Pass Country House. 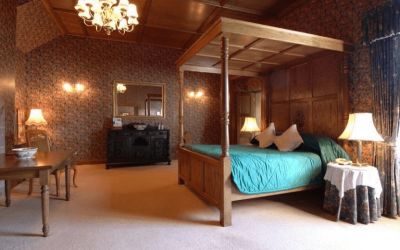 Let your hosts Janet and Hugh swathe you in comfort: there’s a luxurious spa with heated pool, sauna and outdoor hot tub, beautifully carved beds and an abundance of homely touches to make you feel at ease. What’s on? 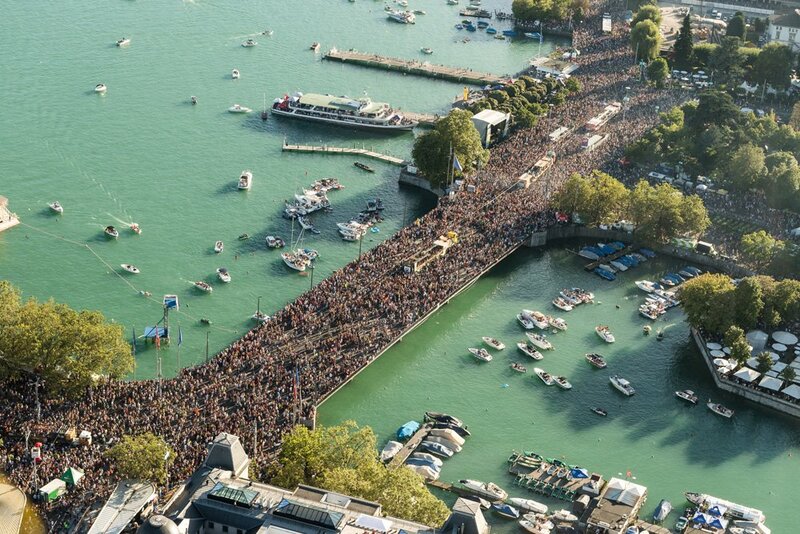 Love, peace and freedom sum up Zurich’s annual Street Parade; a joyous celebration touted as the most vibrant, cheerful and diverse electronic dance music festival in Europe. The techno-fuelled bonanza packs in 30 ‘love mobiles’, mammoth floats donned with dancers, DJs and super-sized speakers pumping exotic beats. If the loved-up ambience doesn’t have you returning every year, the views over Lake Zurich certainly will – not to mention the after-parties. 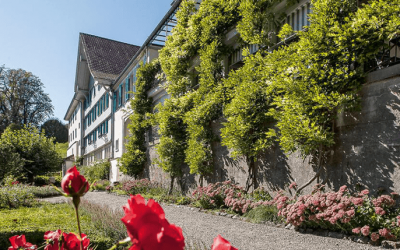 Where to stay: The glorious Gastof Gyrenbad is under 40 minutes away from Zurich’s party town, in the nearby municipality Turbenthal. 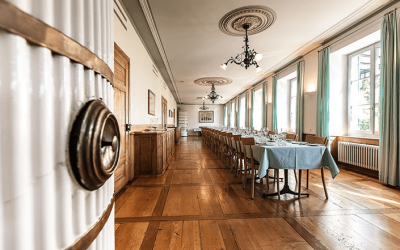 It’s one of the prettiest original country inns in Switzerland, with seven gorgeous rooms, regional cuisine, and an abundance of nature on your doorstep. What’s on? Forget music, food traders are the headline acts at Gourmet Festival Düsseldorf. Top-notch caterers with that ‘special something’ come together for Germany’s 3-day foodie extravaganza. 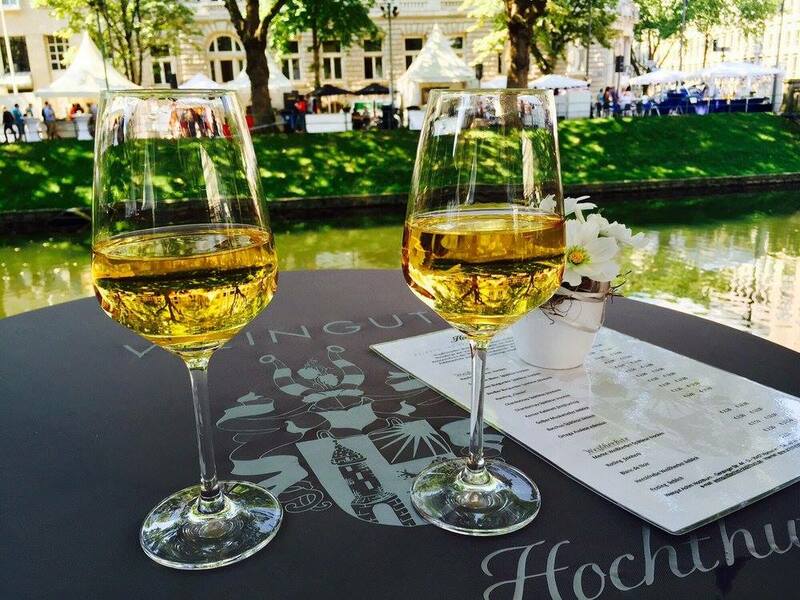 From seafood to Sangiovese, stunning delicacies are paired up with quality wines for you to savour on the tree-lined Königsallee boulevard. It’s the perfect place to explore new flavours, foods and drinks, with more than 200 stands exhibiting every year. Cheers to that. 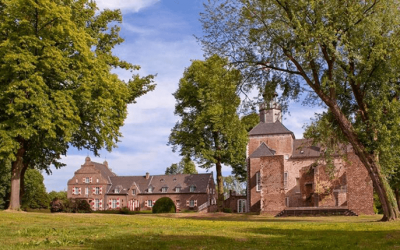 Where to stay: After a day filling up on tasty German fare, Hotel Schloss Hertefeld’s extra-long beds are calling your name. 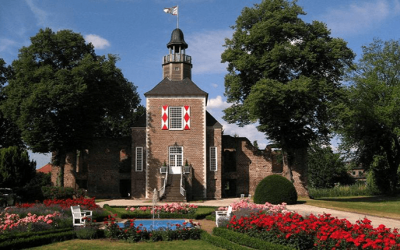 You can reach the Weeze-based hotel, set in the ruins of a 14th-century castle, in just an hour by car from Düsseldorf. Fluffy-bottomed rabbits bounce around the grounds, church bells softly wake you from your queen-sized four-poster bed and breakfast is served in candlelight to the gentle sounds of Bach.